The Greater Montreal Real Estate Board says home sales in the region grew five per cent year-over-year in February, as the number of active listings dropped 17 per cent. A total of 4,081 residential sales were made last month across the city’s census metropolitan area, marking the 36th straight increase and the busiest month of February since 2012. 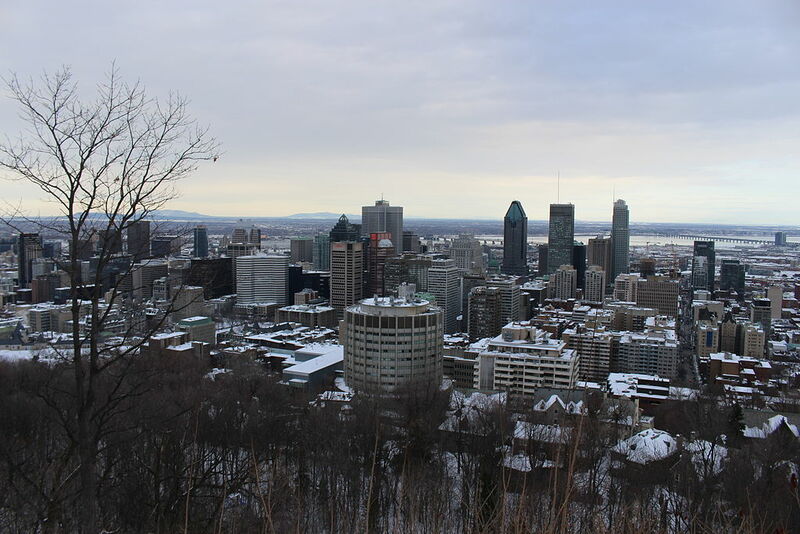 A late winter view of the quickly growing Montreal skyline from Mount Royal in March of 2015. Photo by Jami430 via Wikimedia Creative Commons. As was the case in 21 of the past 24 months, condominiums registered the largest increase in sales, jumping by 14 per cent. Single-family homes and plexes posted small increases of one per cent and three per cent, respectively. The median price of single-family homes across Greater Montreal was $310,000 last month, up six per cent year-over-year, while plexes reached $481,500, a one per cent increase. As for condominiums, the median price grew by five per cent last month, with half of all units selling for more than $250,000. The real estate board says acceleration in price growth is a direct result of increasingly tighter market conditions.